One morning I was very happy to visit a friend who was running his startup e-logistic company and recognized as one of TOP 10 Potential Startups in Indonesia. This TOP 10 list is predicted to be the Next Unicorns. It was a rare opportunity to be able to learn from e-logistic expert. Visiting into his warehouse in Sunter area (North Jakarta, Indonesia) reminded me that technology and system were not designed only for front liners but also for backend and processing function of organizations. My friend now is proven to be a startup founder who has been successfully develop his business in storage, warehousing and logistic delivery industry relatively within a short time period. Our discussion heated when we talked about an article with a title “When customers served by a Robot” published in “Business Indonesia” newspaper dated 20th March 2018. 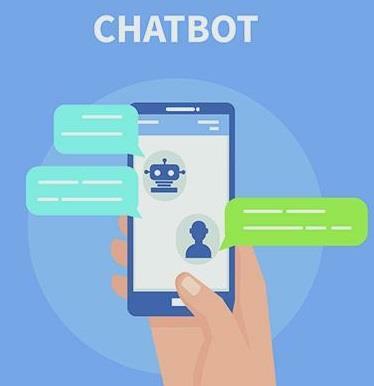 The content of the article is describing few major banks in Indonesia have signed a contract with a startup company for setting up chatbot (chatting robot) deployment. My friend under assumption that this solution will replace the role of human in Call Center. Is that correct? Let’s review it in more depth. What exactly is a chatbot and how it works? We shall start with the definition of a chatbot to have the same level of understanding. Looking from the above definition, the main principal of Chatbot is interactive (keyword then reply). One of Indonesia’s biggest private banks launched their first chatbot through LINE channel with a big banner stated, “PROMOTION INFO”. They define what kind of services handled by their chatbot. Unfortunately, not all conversations can be handled through this innovation. A very comprehensive Question and Answer (known as Q&A) must be prepared far ahead of chatbot’s launching date to the public. Thus, scope of service coverages must be determine first. Have you tried to interact with a chatbot? If we asked, “what are the promotion for Credit Card A?”, its surely give us a relevant answer. If we changed our question to Australian slang say “oi, any mates rates for new CC applicant?”, the word “mates rates” is an Australian’s slang word for discount and credit card word has been abbreviated as CC. What do you think the answer will be? There are 3 possibilities answers. FIRST, chatbot is confused and their standard answer is “Sorry, Chatbot is still learning.” Surely, one of chatbot’s functions is to keep learning. SECOND, “Sorry change of topic, have you recently watch any movies?” This is one of distraction techniques, probably imitating politic strategy. THIRD, chatbot is giving a relevant answer. How can this happen? The only way that chatbot can understand the context of question is from a comprehensive database. If a chatbot doesn’t have enough database to be its reference such as words, contexts and comprehensive human conversation language, surely chatbot is unable to answer that question. Meanwhile, human language is very broad for example English word we have British English, American English, Australian English and so on, slang words and youth language. In Indonesia we known 'Alay words', 'Millenials language that are huge using emoticons". All of that must be reference in chatbot’s database. My analogy is like a kid on how they learnt on using language when growing up. If we as parents always using positive language, then our kids will follow on using positive language. On the other hand, if we are using harsh language frequently surely our kids will copy us. You might think that the chatbot is not too smart after all. This is debatable are, but for sure this programming system is very smart but need to be fed appropriately. We should feed them with comprehensive database and need proper administrator’s direction. So, it’s not odd if an organization who will launch a chatbot as one of their service’s pioneers to interact with their customers will firstly define their service’s coverages. In this context is “Learning is a Process, not a Destination”. For a chatbot by having more interactions will accelerate their learning curve. Then, when will a chatbot can be totally perfect in a context of learning human as a whole? I’m also not sure, probably the answer is ’when a robot can totally be replacing a human being’. I believe “the sky has no limit” based on the creativity and learning aspect therefore learning shall continue. 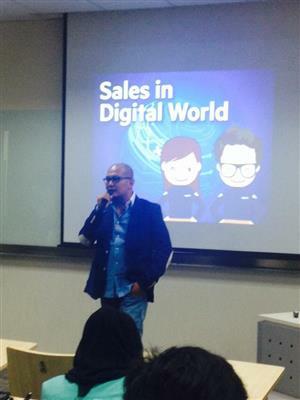 On March 27th, 2015, we held a big collaboration between 168Solution, AtmaJaya Hospitality, DigID Talent and MStarz group in the form of Digital Seminar. 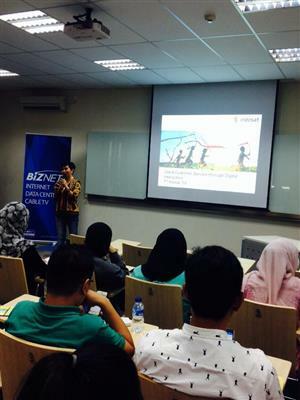 The event objective is to build 'Digital Awareness' program for Indonesian Young Generation. To help equip them with the right digital knowledge and eventually skill to innovate. We believe that by having the right digital overview, framework, understanding on the digital ecosystem, thus will help our Indonesian young generation to be on the foremost talent in marketplace. The audience registration was overwhelmed, we recorded 150% capacity, so we closed the registration before hand. But we manage to sort out and spread the crowd to 3 coaching clinic group. The small group covering few session such as Personal Branding delivery by DigIDTalent, 2nd class about Social Media for Customer Care by our team at 168Solution and last topic is YouTube Channel Management by MStarz team. 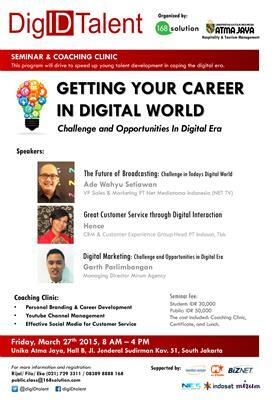 We are lucky to be support by prestigious presenter such as Mr Garth from Mirum Agency management (previously XM Gravity), Indosat Mrs Hence (Ooredoo Group) and Mr Ade from NetTV. We also being support by AOS and BIZNET in the event delivery. Thanks to all the participants and sponsor. 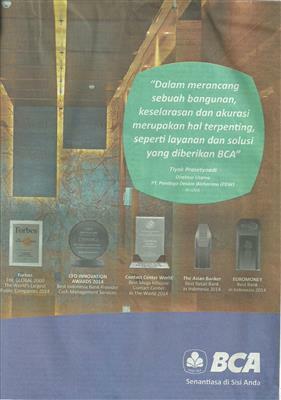 Penghargaan prestisius ContactCenterWorld.com oleh Mandiri di tahun 2014 pada halaman Kompas. Terima kasih kepada rekan-rekan Mandiri, terutama dari panitia Mr Raj dan tim CCW. ContactCenterWorld disejajarkan dengan Forbes, Euromoney dan Asian Banker. Terima kasih atas kerjasama rekan-rekan Halo BCA yang dipimpin oleh 'Celebrity Leader' Ibu Wani Sabu. Tentunya ContactCenterWorld menanti kegiatan berikutnya ya. Kepada Rekan2 Professional Contact Center di Indonesia. Untuk yang merayakan Imlek, selamat ya semoga sukses semua di tahun ini. On May 31st 2014, we held the 6th session of the learning program for university student at AtmaJaya Jakarta, Indonesia. We called the class as Contact Center Academy 101 - this to represent the beginner's level. Last week the program was verify along with AtmaJaya accreditation process. We slot two session to conduct role play with all the students at laboratorium of computer class using real softphone, headset and contact management application. As we put the theme of ‘Fun, Interactice and Applicative’ attach to this program, that is why we think it is very important to conduct role play with appropriate environment of call center. 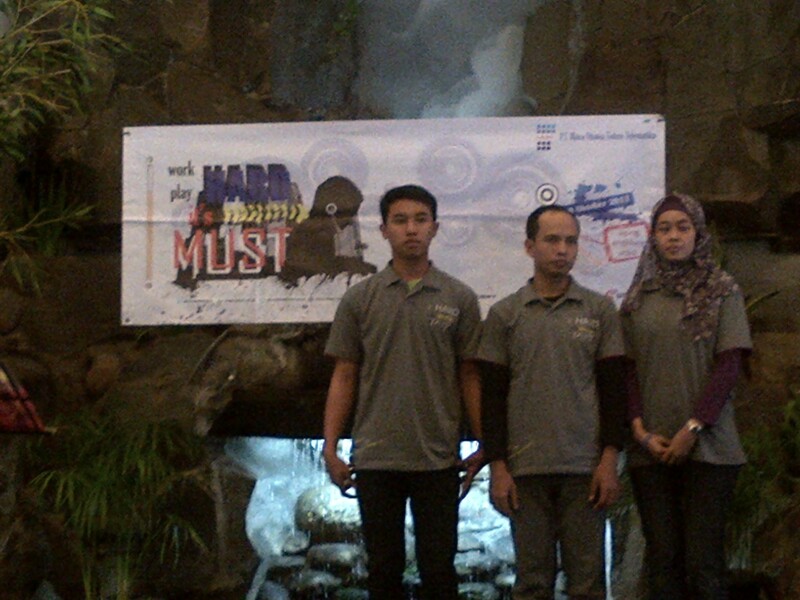 The program initiated by 168Solution and supported by Contact Center Indonesia also AtmaJaya University – Hospitality. These are the pictures, we do hope this initial class is the platform of a better, formal and collaborative call center program to bridge the productive ages to the right skill in entering the industry that we all love – call center. 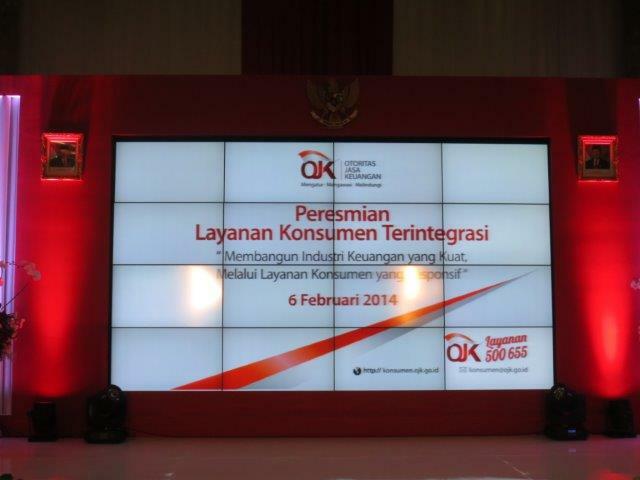 The Financial Services Authority (OJK) has launched the ‘Layanan OJK 500655', a call center for Indonesian community to find information, provide report and filed complaints towards financial sector in Indonesia. 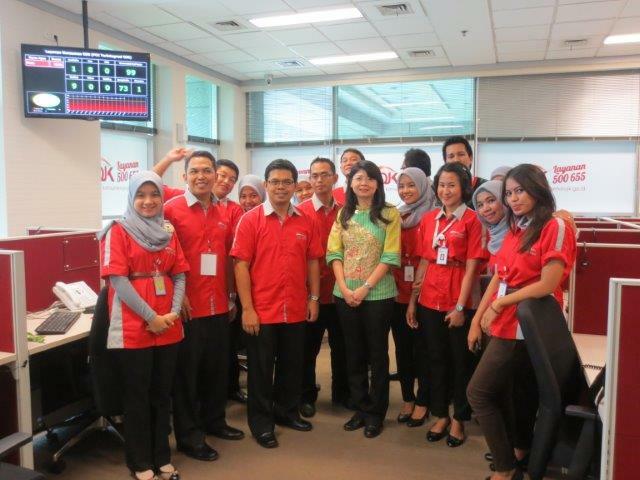 The Call Center was launched yesterday February 6th 2014 at Bank Indonesia building. The tagline is traceable and trackable as part of an effort to improve transparency and accountability in the banking and finance sector. Having rainy days for almost a week, Jakarta facing major issues with accessibility to the call center location in certain areas. 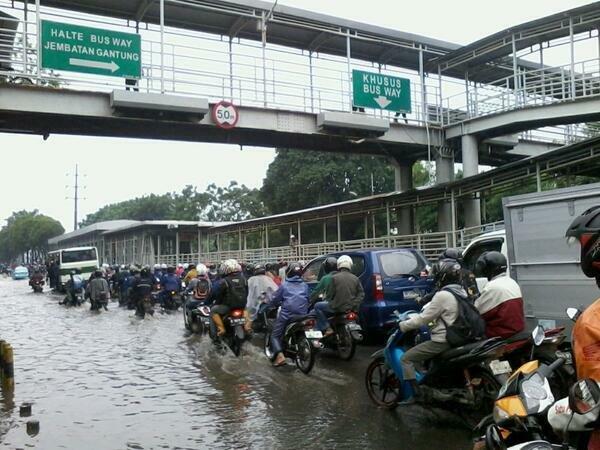 Even not all areas impacted by the flood but the interdependencies and linkage between streets in Jakarta road create ‘transportation confused’ to come to the call center site. Not mentioning the uncertainty of route that call center staff may have to face during the mobility. Looking at the density, the hike of Staff Contact Center minimum wage and all operational items challenge, I personally believe it’s the right time for organizations to explore deep on having 2nd contact center site remotely outside Jabodetabek area. We have a lot of good talent and ‘services’ people surround Jabodetabek and that they are able to be develop to certain extent. The need to build a good ecosystem for Staff Contact Center in supporting their expertise and skill, for sure the flourish of call center will help to develop a good ecosystem also. Work Force Management in CC have to turn on the SMS networking system to inform all the Staff CC on whose to be in charge. Also whose replacing whom in regards to the flood area location. When I was a call center manager, our call center have a flexibility to rent few apartments from the next door apartment. So the Staff Contact Center may take rest after their login time and it was offer with overtime to those who want to extend the working schedule. We called it Skeleton Team initiative. Special food and sleeping bag for those who cannot go home in the certain ‘trap’ schedule. Build a communication with the proper regulator on maintaining the right alert and early warning system so the staff contact center can assure their family and friends in safe area. 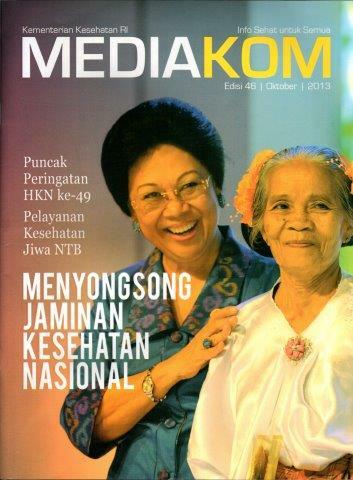 The MediaKom is a special magazine publish by the Public Communication of Ministry of Health of Indonesia. This magazine usually distribute for the health communities in Indonesia and hospitals nationwide. 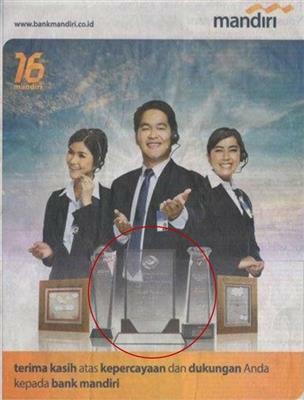 The October 2013 edition covered the Call Center Handbook and also featuring the Halo Kemkes 500567 Call Center. The book initially written following the market needs and request from few contact center professionals in Indonesia. It was started on year 2012 and than completed by all relevant study cases, or experience and some market research conducted. 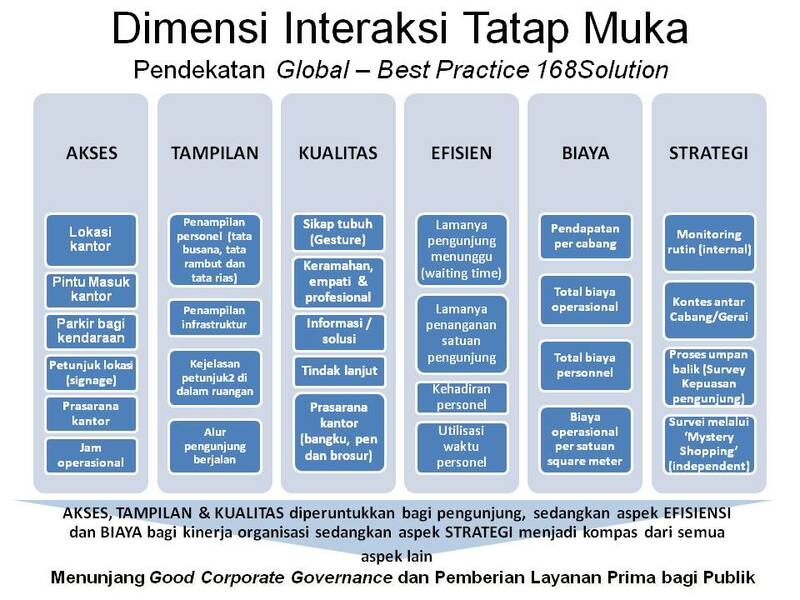 The Indonesian regulation alone really are on the hype of supporting the Information Transparency by what we call 'KIP', it was an abbreviation of 'Keterbukaan Informasi Publik' as part of good corporate governance theme. The book will be available in major book store starting on January 2014. The Government Call Center Book was written in the spirit to support the government in providing a better public services to the community. First three sections of the book are talking about the objectives of Information Transparency regulations related to providing information to the public. It was regulated under UU KIP. The author want to emphasize the need or serving the society in term of providing the right information to society. And having contact center as the platform is the right way to do it. The benefit visualize such as public services say like EMS = Emergency Medical Service or what we known as 911. Provide simple and easy concept of service through a contact center covering face to face with few dimension of services such as Accessibility (Speed), Quality and Appearance. Provide the real study cases of public service from our real life experience by looking at the society needs. By doing this the author hoping to help pinpoint and provide practical ideas for improving the community lifes. The way the book was written is being practical, easy to read, fun and based on updated situation. Looking at the objectives, the author try using the illustration and visual for being more attractive. The cover of the book using the real contact center workforce troops from a benchmark contact center also involving the government staff. Regulation on Call Center as related to the Public Service is starting from Keterbukaan Informasi Publik regulation (Public Information Transparency). Follow by the Principles and Regulation in providing the excellence Public Service and how the Public Service is the basic right for all citizen. For emergency, health and disaster relief segment. 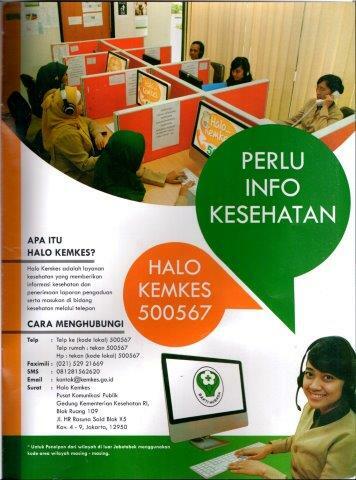 The author explain the role and function of Halo Kemkes 500567 contact center for the society. Previously the Halo Kemkes 500567 was first introduced as PTRC, an abbreviation of 'Pusat Tanggap Response Cepat' (PTRC) as part of the Health Ministry of the Republic of Indonesia initiative. Along the discussion, the author explain few other aspects that related with the Halo Kemkes function in health segement. Those are 911 call center benchmarking; a short review at how 911 call center Montgomery County operate. Another case study of medical sector coming from a non government is CVS Caremark, they provide the study case of business model for medical services that author think is really good. They also provide a Social Corporate Responsibility through the initiative for helping the drivers and toll road passengers called CVS Samaria. Another good cases are the 'Call Center for Woman and Kids Helpline'. The New Delhi government opening up a call center specially to help Women call Women Helpline 181 in New Delhi. This is becoming the pioneer for the women service helpline. The other example is the Prevent Child Abuse (PCA) Helpline that was initiated and than vacum for a certain period and was able rebuild by the support of society, education institution and also government from that area. So to be able to deliver a good public service, a collaboration is the key. 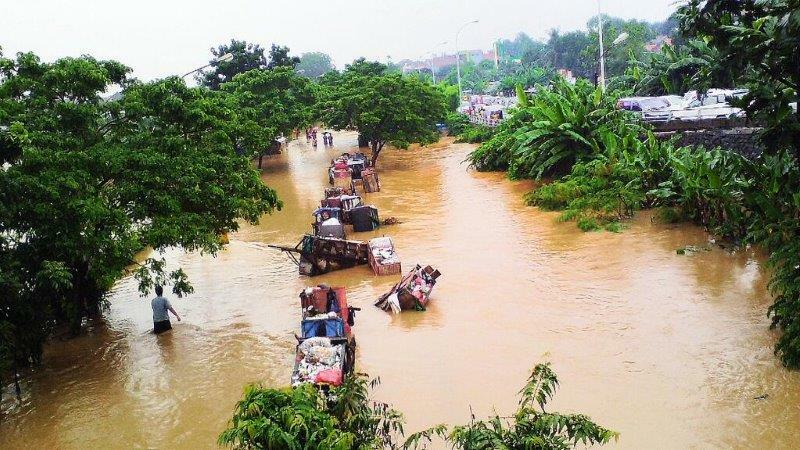 Administration of the Jakarta Population was being elaborate with the article of Great Service provide by Jakarta Provincial Government. This is specially pointing the non emergency helpline and how Jakarta should have one to support the society. The author provide the platform of excellence service on face to face and also what are the capability of current provincial function services that relate to the non emergency line with benchmark to the 311 call center in New York. For energy and power, author are comparing and focusing on revamping the human resources aspect to help restructuring the people aspect and deliver the excellence service. Author highlighted the Engaged People' British Gas’ as the study case. For Transportation segment, author explaining her real experience on extending her STNK through the face to face interaction. The study case elaborate the real experience of 100% customer satisfaction survey score that will not serve the purpose of continuous improvement initiative. Also follow by the Rail Europe example of multi channel, Flat and Residential Contact Center as the voice of government, how a contact center supporting the livestock and farming. 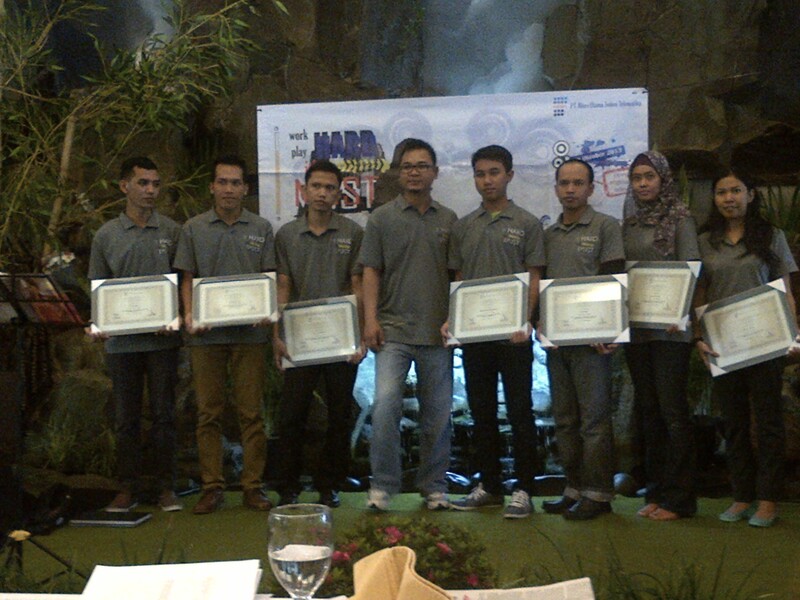 Closing by the manpower call center study case that support the disability. The author try to highlighted the key point and important knowledges using the book as the media. If the reader need to elaborate things in more detail, author really advising the contact center professional to open up their netwoking horizon by attending the Top Ranking Performance - ContactCenterWorld.com conferences series. The last section is the Call Center Best Practice. Covering the Emergency Interaction Framework for emergency situation in call center. 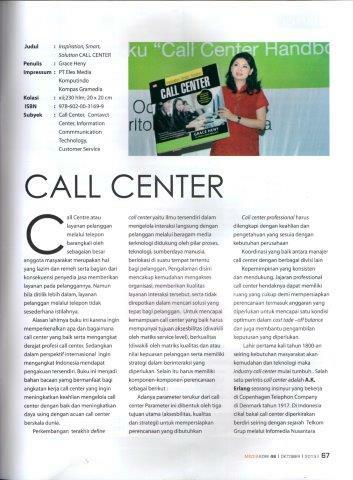 This decription starting with real experience of calling a '119 call center of Kartu Jakarta Sehat' or SPGDT. What items to be prepare in setting up a contact center, such as managing limited resources and other component to be utilized. The contact center technology is actually quite complex that reader need to understand the platform, and how the procurement process of contact center in government sector using pengadaan barang dan jasa or 'PBJ'. The most updated is practical tips on choosing a good work force management application. Few study cases with fun, entertain and easy to read but still provide a benefit for the reader are cover in this section. - the last are the concept of Accessibility, Quality and Efficiency or sum up as AKE. The last pages of the book also inserting the agenda of the Las Vegas event of ContactCenterWorld.com on 11th up to 15th November 2013. Hope to inspired better public services in delivering better community for the people life. The phenomenon of Jokowi and Ahok euphoria for becoming the Jakarta Governor and Vice Governor continue post the appointment ceremony. Several ongoing initiatives and media frenzy carrying this couple seems never stopped. One of the new program is what we called 'blusukan' mean survey to the grass root of community without formality. 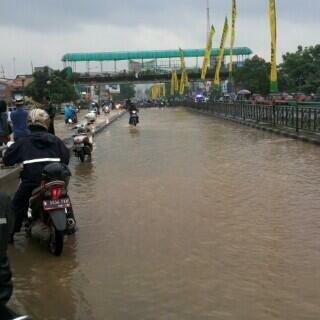 Mr Jokowi as the Governer requested the service on kelurahan (municipality area) followin the bank services. Actually the concept of services customers using banking is not something new but it was unusual as it was introduce in the bureacracy institution. I do hope this is the beginning of the public services reformation for Jakarta citizens or so called ‘Jakarta Baru’ initiative. Long before Mr. Jokowi request this so called ‘banking services’ style of customer service, I recalled being in a hot discussion with a lady from Directorate General Taxes. It was back in Year 2011 and bottom line was her objection that Taxes service cannot and shouldnt follow the banking style service. My opinion is on the other side that Taxes service should have surpass the banking style service industry as when Taxes collect the fund it’s a regulation and people lost the ownership of the money while banking, the customer still own the money. Thats my point of view. With that in mind “Was not the tax payer should received more services compare to the private bank sector services?" While with the face-to-face channel services, various dimension is the foundation of excellent services for face-to-face media. I am using the framework that comoonly use in Contact Center that specialized in face to face channel, they are : Accessibility (Speed), Appearance (look and feel), Quality, Efficiency, Cost and Strategic dimension. Few face-to-face dimensions considering access, quality, efficient have pour out and discuss in my first book called ‘Call Center Call Center Handbook’ and later follow by the ‘Government Call Center’. For the purposes of better perspective, I like to discuss the various dimensions and its re- added dimension that is appearance. This dimension is specific related to face-to- face at the call center services via voice . Accessibility category is the first thing that the visitors experience whenever they approach the office, such as signage for the location, parking space for vehicles, operating hours signage, entrance or exit door and waiting room for visitors. These all items are consider to express the easiness of visitor to find the entry or accessing the service provide. The next dimension is the appearance of the outlet or branches or office starting with the naming or logo of the branch office. The easiness is the key on finding the office location. Beside the naming or signage of the office than it should be the calrity of instructions and appropriate display to be viewed by visitors. Visitors should be informed clearly where to queue or take a form or brochure for them to access specific services related to the reasons why they campe on the first place. By doing this will help the interaction deliver faster, smoother and on target time. The next aspect is the key aspect of the reasons visitors come to the meeting with officers and get information or a solution is sought. Visitors certainly willing to interact with officers running as well as possible and as quickly as possible. Based on my the quality dimension usually forgot the the interaction with the officers aspect and this is actually the main reason why people come to the office or outlet. Especially in government sector of services, this aspect doesnt cover on the standard interaction. The service competition focus on appearance and infrastructure and just forget on the main aspects reasons why visitors come and interact with the staff. Indeed I found its challenging in monitoring and even assessing the interaction but its need to be done. This challenge can be bridged by doing mystery shopping using an independent agency with the unknown shopper who act as a visitor. Important for the shopper who is unknown by officers and typically use small video cam to document the interaction. If you implement mystery shopping than the Strategy Aspect define in this category. While an examples of metrics under Efficiency dimension is the ‘number of face-to-face interactions’ handled during an hour. This ‘number per hour’ metrics will be increas along the improvements are made. Cost is the most difficult aspect to measure in the public service sector. I wont address it on this occasion. But service outlets such as Apple Store monitor their cost per square meter as an indicator of the cost dimension. Back to the Government Distric Service or so called Kelurahan or Kecamatan office, following the new Governance objectives where community (red: visitors) need to be serve during their interaction with the officers, these dimension can be use. It is advisable to implement them in stages, starting with Accessibility and Quality dimension first. Followed by Efficiency and strategic later on. What Mr. Jokowi done with his ‘blusukan’ actually is another form of mystery shopping. I went to a gathering invitation held by a BPO last weekend. 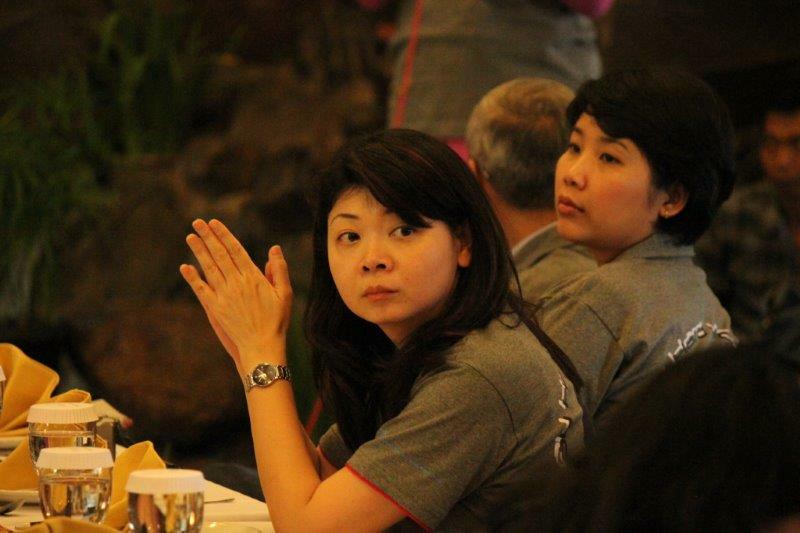 Few of their clients are Icon+ for PLN, Astra World, Smartfren, Indosat and others. The event was simple and participated by couple of hundreds Staff Call Center or I would prefer calling them 'Call Center Professionals'. We have a short chit chat, as usual dangdutan, singing and Saung Mang Udjo angklung performance. This is the well know angklung performance in West Java. So in this opportunity I share with them few inspirational stories, jokes and informally wish to encourage them to achieve high performance. 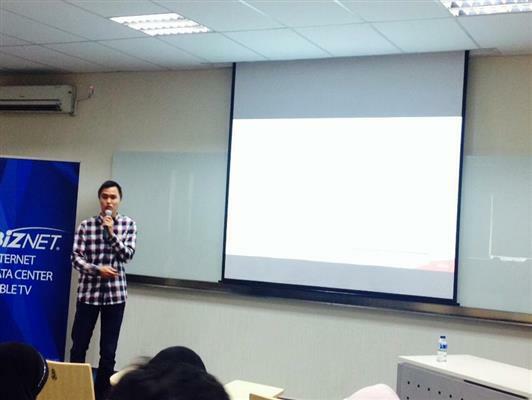 I told the crowd about the Year 2014 ContactCenterWorld competition and event also. 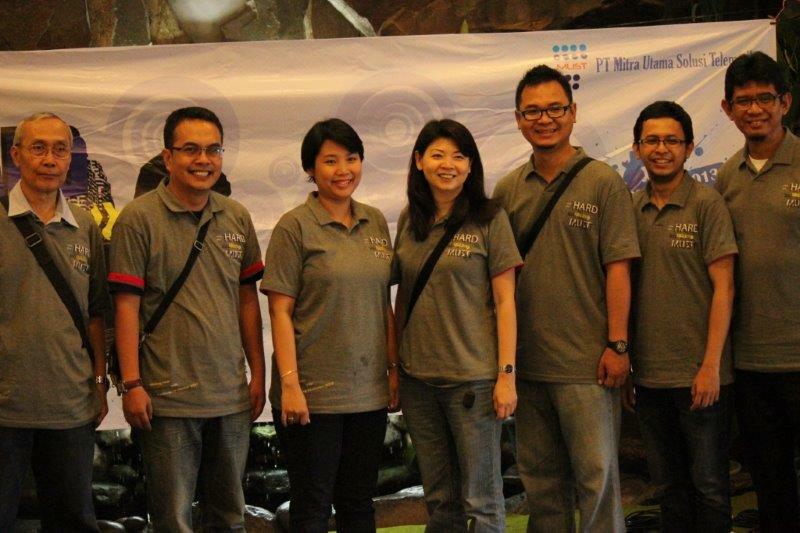 I do hope they will participate also to broaden their horizon and networking with other contact center professionals. 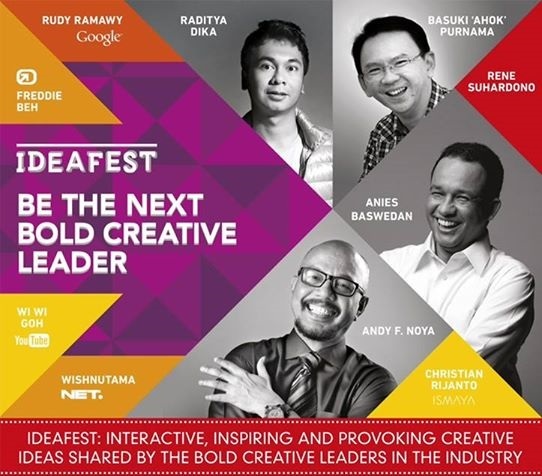 On September 18th 2013, Im attending a very good conference called IdeaFest 2013, it was really good conference to add our digital and media knowledge. 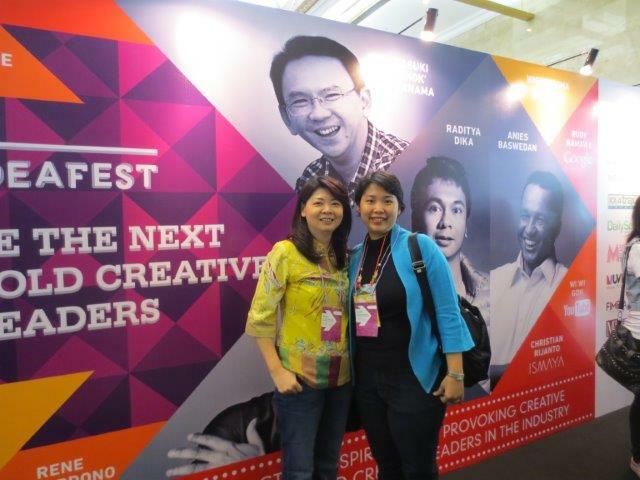 The first session is about media and the speaker is the CEO of Net TV and the Indonesian Country Head Google Indonesia. Both speakers statement revealing a new horizon how TV and internet media communicating and interact with people and through the people. The sesssions following the first one was really impressive. 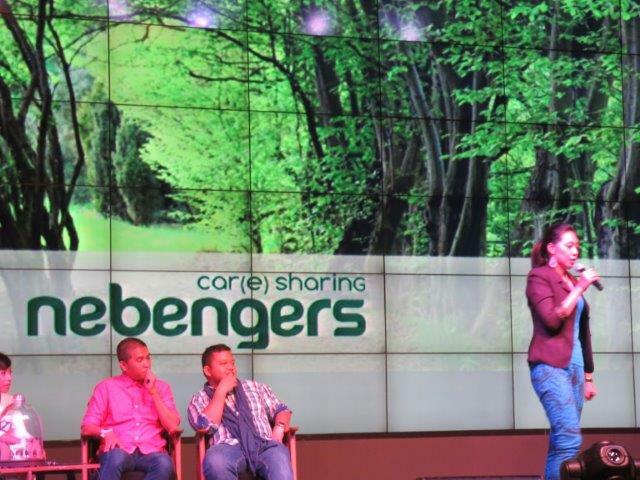 I like the Nebengers initiative for Jakarta traffic jam solution. One thing about it that I remember that few of the entrepreneurs there actually have their market share worldwide and breaking through the Indonesian geography limitation. It is truly awesome how digital platform enable creative mind to do things differently and change the way other’s people behave and communicate. I think like it or not the contact center will be evolving also by this fact. Another fact is that 'painful problem' of company not listening to employee is becoming an opportunity to improve business performance. It remind me of the TopPlace2Work from Raj initiative that we convey to the contact center professional. Other industry have reveal the same challenge. 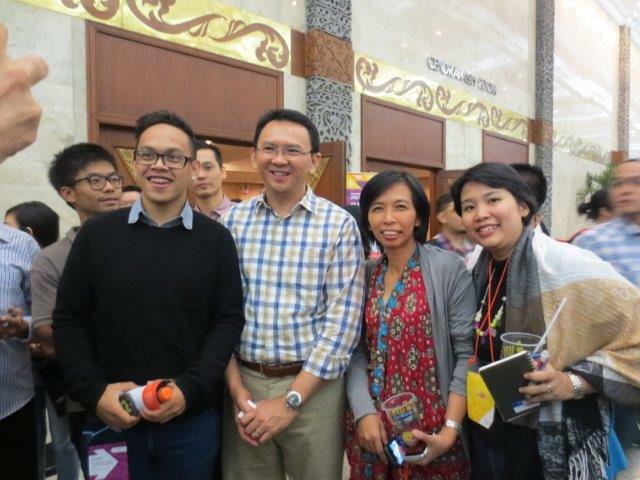 On the same day the Vice Governor of Jakarta Province Mr Basuki share his thought and inspiring discussion. The new way of creative government in communicate with the public using YouTube and social media is truly helping the transparancy aspect. This bring the trust and public empowerment in supporting the government initiatives. I throw my idea on how the government should build an integrated communication by merging the ContactCenter with the Internet media. Hope in the near future Mr Basuki will come up with a creative way by using my statement. Beside going to CCW conference this year, we will have special agenda of visiting one of the famous e-commerce Contact Center in US. We secure our schedule and arrange the time to visit and benchmark. They surely are very busy and tight schedule. Few of the famous approach in their Contact Center has been applied in Indonesia e-commerce organization also. It is truly showing the service mindset and how successfull their organization instilling their service culture as their competitive value. Deffinitely should learn from them. So very excited to visit them in this opportunity going to US.